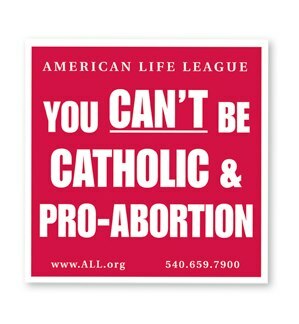 ‎Abortion is not a question for just Catholics! It concerns Human Sanctity! Basic Human Principles. The issue of life and its defense and promotion is not a concern of Christians alone. Although faith provides special light and strength,this question arises in every human conscience which seeks the truth and which cares about the future of humanity. Life certainly has a sacred and religious value, but in no way is that value a concern only of believers. The value at stake is one which every human being can grasp by the light of reason; thus it necessarily concerns everyone…. To be actively pro-life is to contribute to the renewal of society through the promotion of the common good. It is impossible to further the common good without acknowledging and defending the right to life, upon which all the other inalienable rights of individuals are founded and from which they develop. A society lacks solid foundations when, on the one hand, it asserts values such as the dignity of the person, justice and peace, but then, on the other hand, radically acts to the contrary by allowing or tolerating a variety of ways in which human life is devalued and violated, especially where it is weak or marginalized. Only respect for life can be the foundation and guarantee of the most precious and essential goods of society, such as democracy and peace. …There can be no true democracy without a recognition of every person’s dignity and without respect for his or her rights. Nor can there be true peace unless life is defended and promoted. This unqualified and clear truth concerning the inviolable dignity of every human life is a part of the ordinary magisterium of our Church. It is infallibly taught and cannot be discarded by any faithful Catholic. To do so not only puts their own soul at risk, but when they encourage others to adopt such a position they commit an egregious sin called scandal. 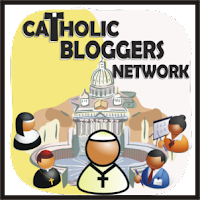 If you need a bit more, try the CCC, Catechism of the Catholic Church. Specifically Article 5. In other words, The Fifth Commandment. Remember that one? You have heard that it was said to the men of old, “You shall not kill: and whoever kills shall be liable to judgment.” But I say to you that every one who is angry with his brother shall be liable to judgment. For your lifeblood I will surely require a reckoning. . . . Whoever sheds the blood of man, by man shall his blood be shed; for God made man in his own image. The Old Testament always considered blood a sacred sign of life. This teaching remains necessary for all time. Being a True Disciple of Christ is not easy…far from it! But don’t call yourself a Catholic Christian and say you are Pro-Choice! And claim that just because you are Pro-Choice does not mean you are Pro-Abortion! So, you wouldn’t kill, but it’s okay for others to kill?? Our Faith is CLEAR. Read above. Keep searching. You’ll find Our Mother Church’s stance on the Sanctity of Life! I will respect you so much more if you say you are Spiritual and don’t Practice a Religion.